Are you losing customers due to poor product content? Provide the URLs for up to 5 product pages. 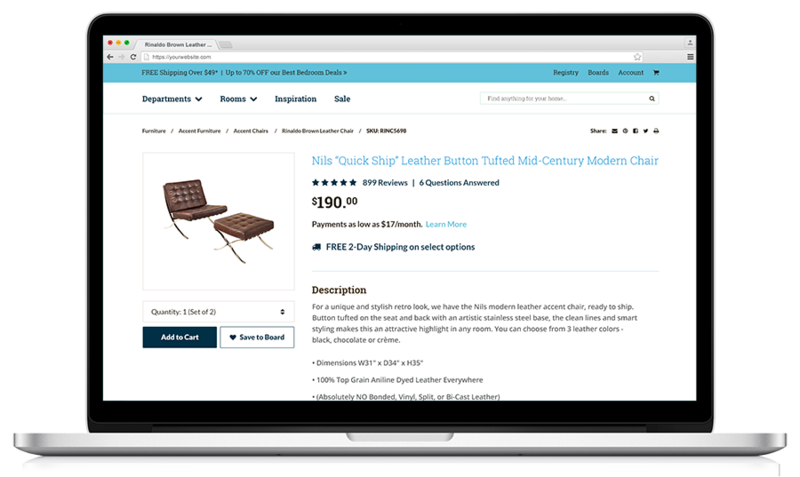 How many SKUs are in your online catalog? A member of our business development team is reviewing your information and will reach out to you shortly regarding next steps. optimized 100K product descriptions in 60 days. OneSpace’s expert product description writers can help you create unique, high-quality product descriptions at scale. 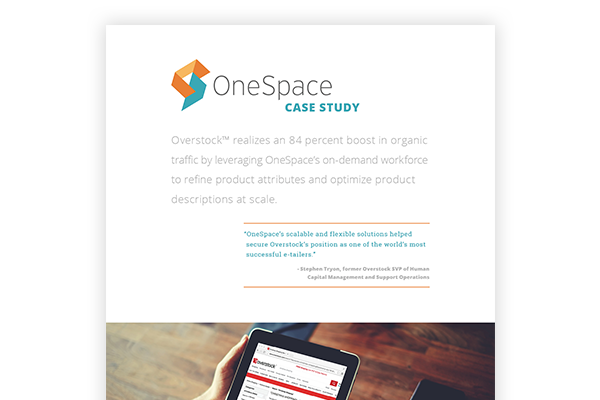 "OneSpace helped our team complete a seemingly impossible SEO project just in time for the holidays, growing our organic traffic by 84% without putting a strain on our internal resources. They are my first call when we are facing a large-scale project with a quick turnaround."